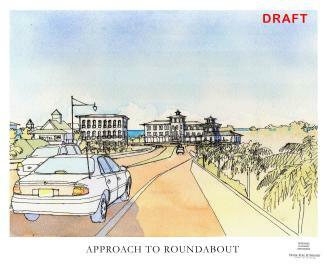 In 2005, the Town of Fort Myers Beach (FL) retained Spikowski Planning to evaluate the 1999 comprehensive plan, which is a periodic requirement of Florida law. 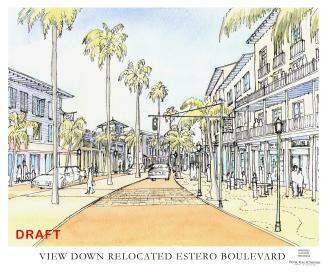 This evaluation focused on improving Estero Boulevard for all users, creating a beachfront park and additional shared parking, adjusting the town’s “buildback” rules for older nonconforming buildings, and reconsidering the value of the town’s many motels which at the time were being converted to condominiums. The Town Council adopted this Evaluation/Appraisal Report on the Fort Myers Beach Comprehensive Plan after a public hearing on January 16, 2007; this report was officially accepted by the Florida Department of Community Affairs on April 4. The town previously forwarded its Proposed Evaluation/ Appraisal Report to state officials for preliminary review comments. The Town Council held initial workshops on this report on March 22 and June 13 of 2006; a memorandum that suggested the next steps is available here. A special meeting of the Town Council was held on August 1 to review those suggestions and to modify the report before sending it for preliminary review. 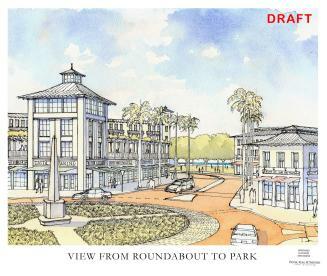 A workshop concerning redevelopment in the Times Square area was held by the Fort Myers Beach Town Council on November 29, 2006. Background information is available here. Earlier draft of this report considered by the LPA on March 14; transmittal memo to LPA describing changes from earlier drafts. 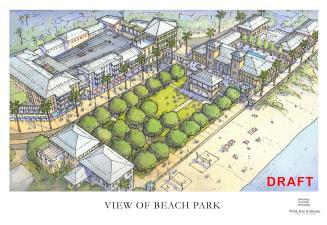 The Local Planning Agency held another workshop on the evaluation of the Fort Myers Beach Comprehensive Plan on October 11, 2005, at which time they reviewed a draft of the fifth section of the evaluation and appraisal report. 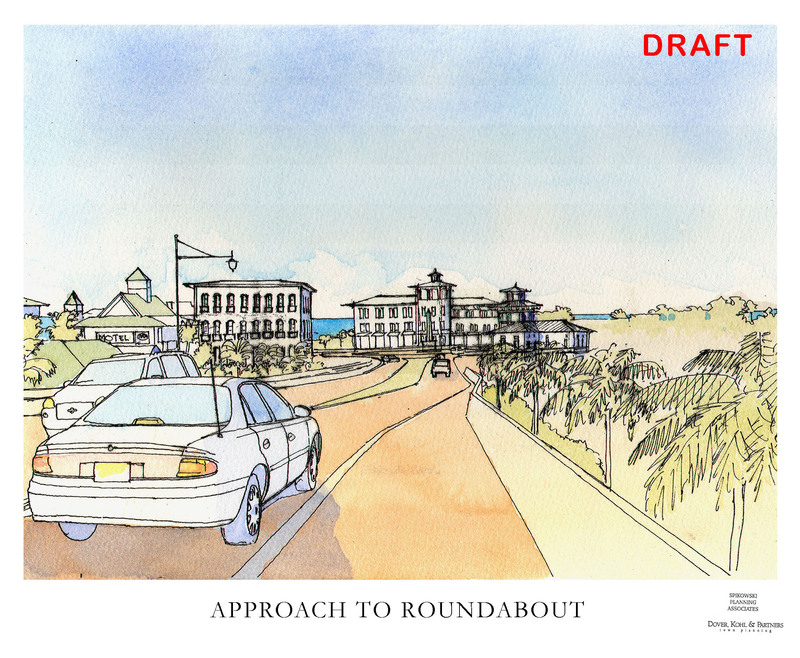 The Local Planning Agency's previous workshop on the evaluation of the Fort Myers Beach Comprehensive Plan was held on September 13. The LPA reviewed a draft of the first four sections of the evaluation and appraisal report. 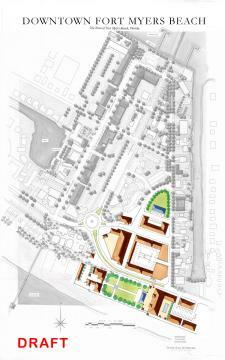 The Local Planning Agency's previous workshop was held on August 9. The LPA reviewed a preliminary draft of the first three sections of the evaluation and appraisal report. Also available: correspondence with the Florida Department of Community affairs on the scope of this evaluation. 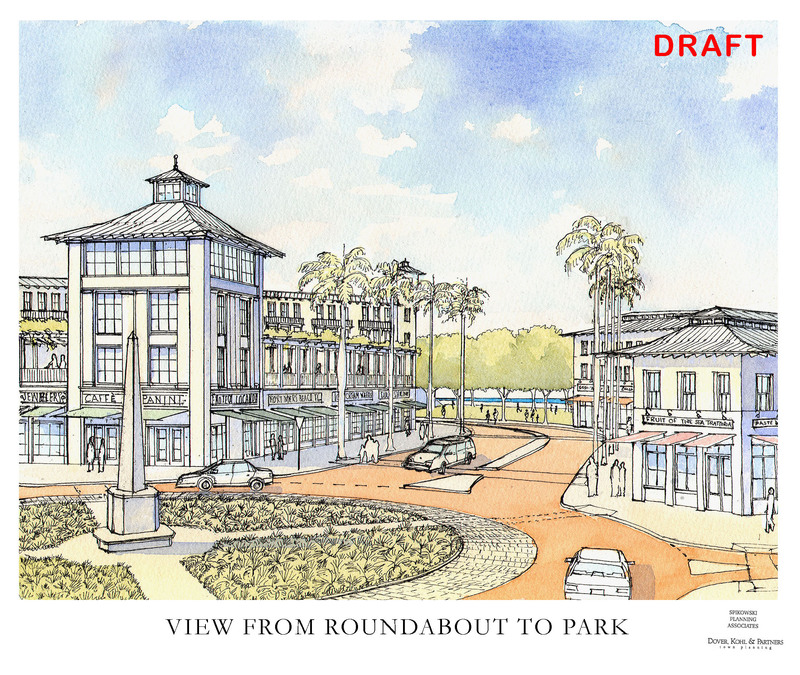 COMMUNITY DESIGN WORKSHOP --- "REDESIGNING OUR TOWN"
A second workshop concerning redevelopment in the Times Square area will be held by the Fort Myers Beach Town Council on November 29, 2006, at 5:30 PM. Background information is available here. 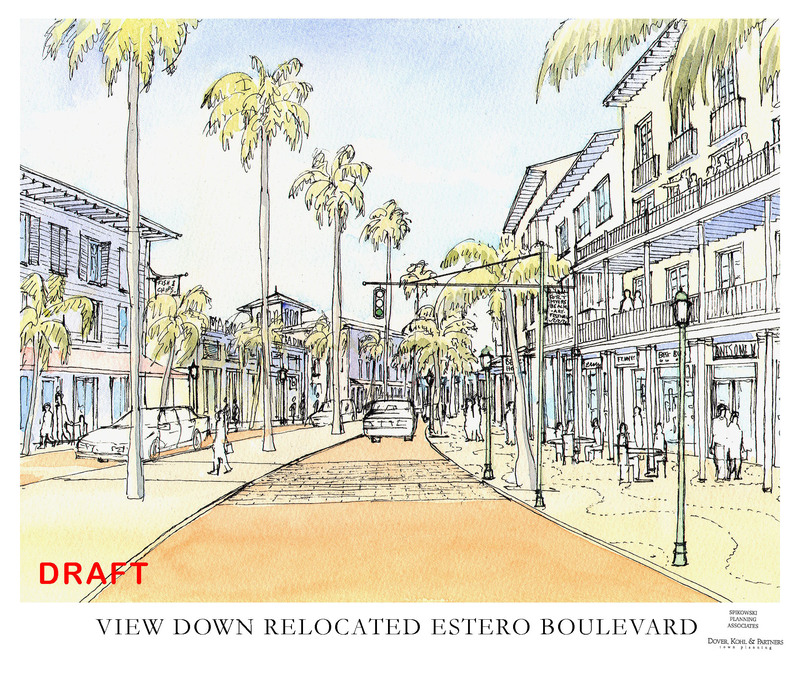 The Town of Fort Myers Beach began a community design process with a March 8, 2005, workshop to begin evaluating and improving the Comprehensive Plan. A "work-in-progress" presentation led by Victor Dover of Dover, Kohl & Partners was held the evening of April 7, 2006; download a flyer for that event here. This presentation was broadcast live on the town's cable TV channel and rebroadcast several times. 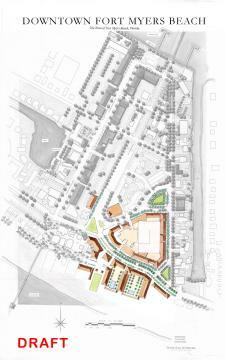 The next discussion was held before the Local Planning Agency on May 10, 2005; background for that meeting is available here. 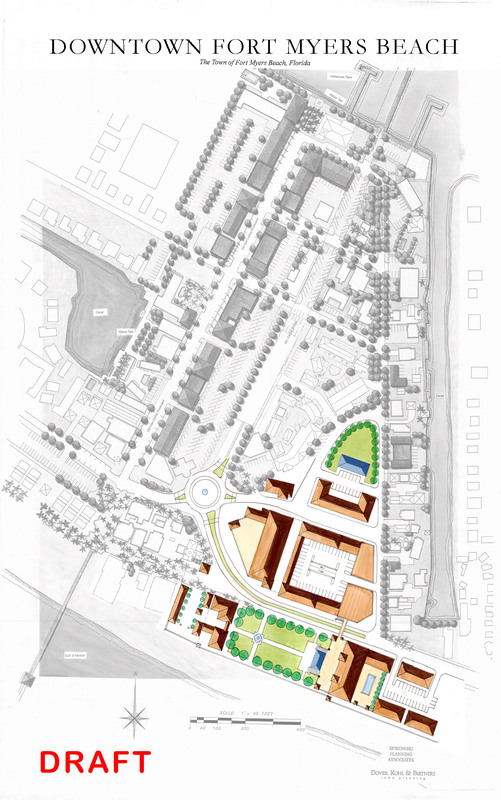 During February of 2005, the Local Planning Agency continued its discussion on the upcoming evaluation and appraisal report, particularly its list of major issues and plans for the March 8 charrette; background material is available here. Previous discussions were held on January 25, 2005, and December 7, 2004. Background material for the October 19, 2004 discussion is available here. Background material for the first discussion in June is available here. 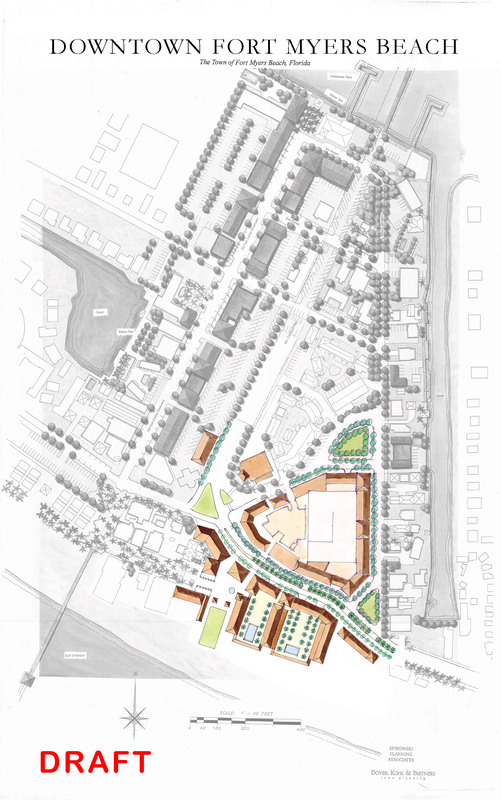 The Fort Myers Beach Comprehensive Plan was the result of an intensive 2½-year effort that began shortly after incorporation of the town and ended with the new plan taking effect in 1999. Florida’s growth management system requires the periodic reevaluation of the entire comprehensive plan.